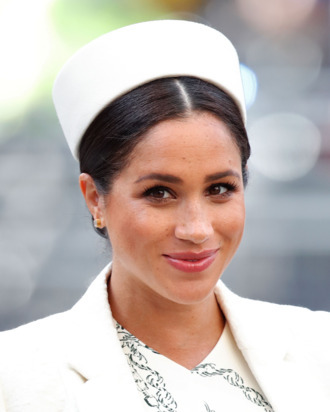 Meghan Markle’s first royal baby shower in New York City was fancy: Her closest friends, including Serena Williams, Amal Clooney, and Gayle King, were there, and it was held at a penthouse at the Mark Hotel in the Upper East Side. Now, as the royal baby’s late April due date is rapidly approaching, the Duchess of Sussex’s second baby shower is reportedly coming up. According to the Daily Mail, Meghan’s mother Doria Ragland is expected to fly in for the U.K. baby shower. Us Weekly previously reported the event might be hosted by Kate Middleton, which sounds nice. The Daily Mail reports that a “handful” of Meghan’s friends, including Victoria Beckham, will also be in attendance. It’s unclear when exactly the shower will take place, but the tabloid reports that it may be held at Buckingham Palace, as Meghan’s new home at Frogmore Cottage is still being renovated. So in that case, a small affair in the U.K. sounds lovely and appropriate. Can’t wait to be invited.